It's been nearly a month since I've had a relook at my website and have completely relaunched it with new work. I've been up to so much these last few months that we came to the point that the work I had displayed online was not reflecting my current projects and ideology. 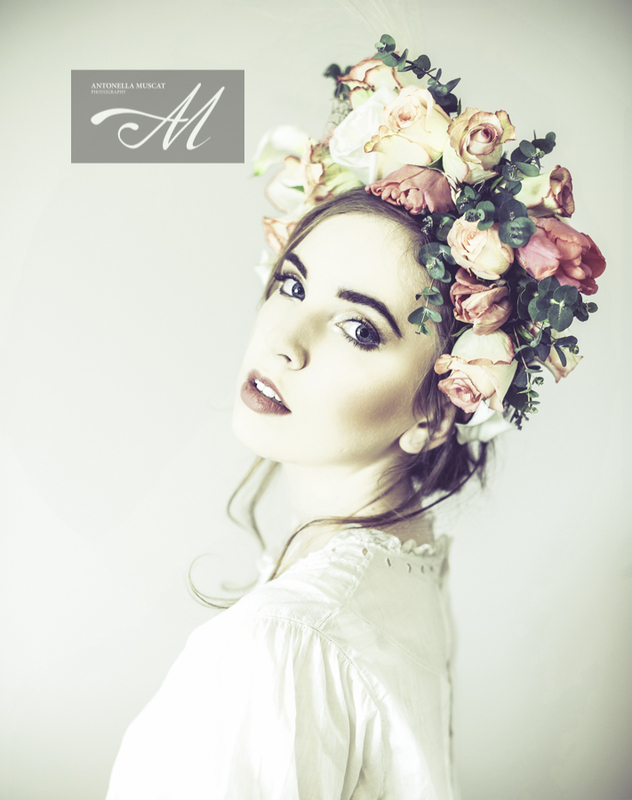 I have always loved to shoot floral work, be it flowers in their natural state, arrangements or models in flower crowns. 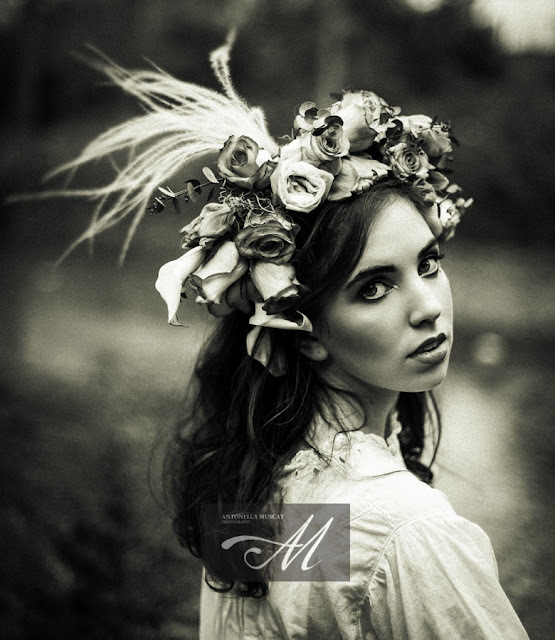 I do like to add flowers to enhance the subject for a bohemian feel, depending what the subject is of course! 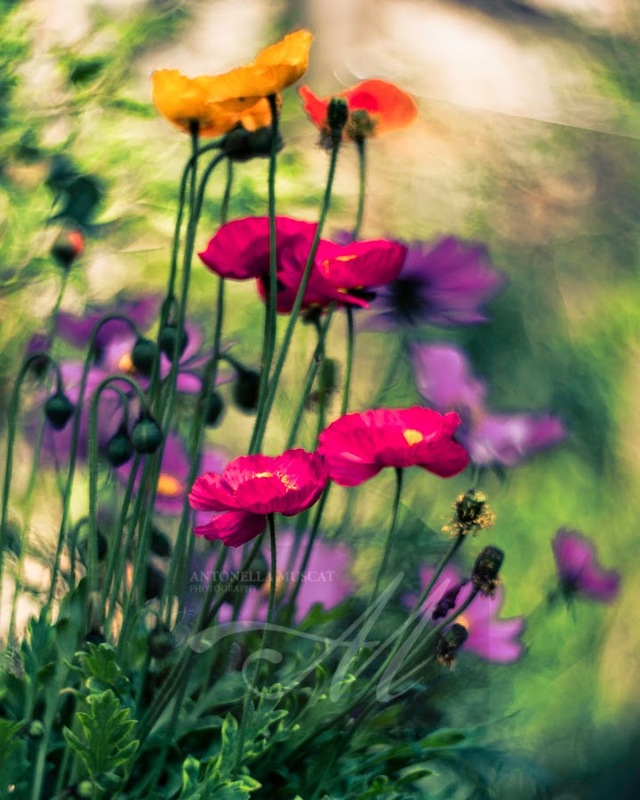 Today I share I simple shot of flowers from my garden, multi coloured poppies and beautifully bold cosmos, dancing in bokeh, srcreaming colour. Did you notice I love colour, the vibrancy of life? 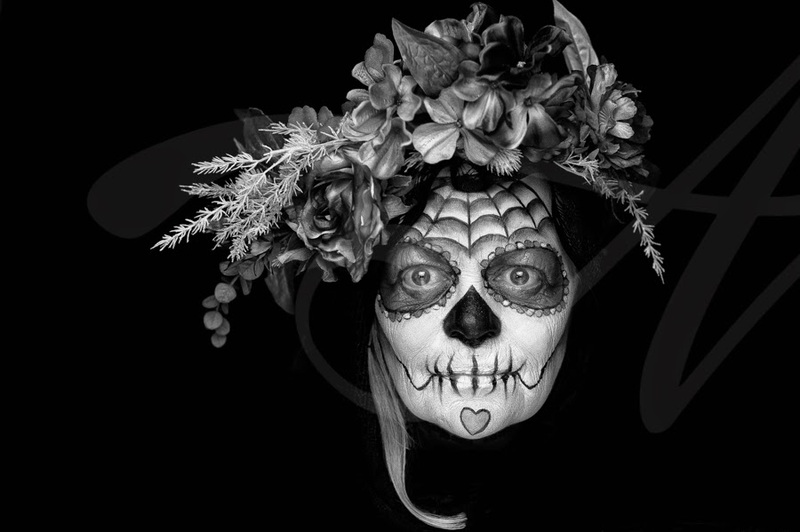 'Day of the Dead' has been done to death as subject matter for photographers, but there really isn't much work out there using more mature models. I hope you will like the work I produced with Norfolk based actress Lindy Pieri recently. I photographed the very vesrsatile Lindy in her own home and, being fuly portable in terms of kit, recreated a very classical portrait in terms of lighting. 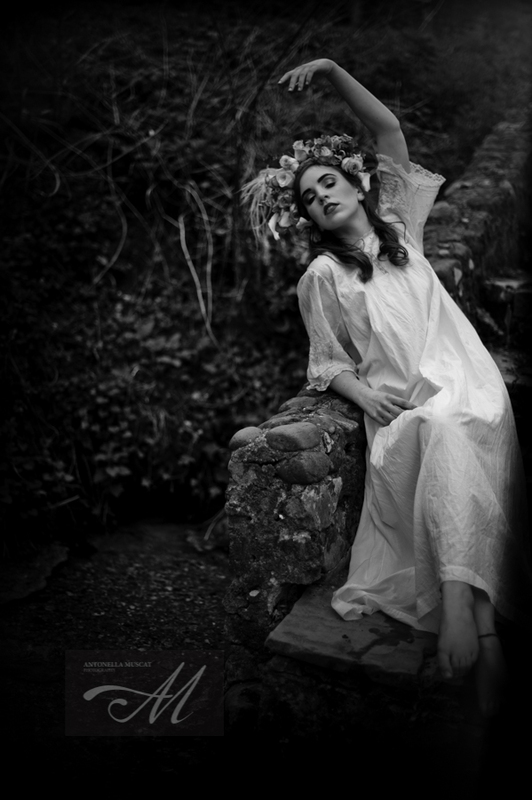 The effect is, as I hope you will agree, dramatic and complementary to both the model and subject matter. 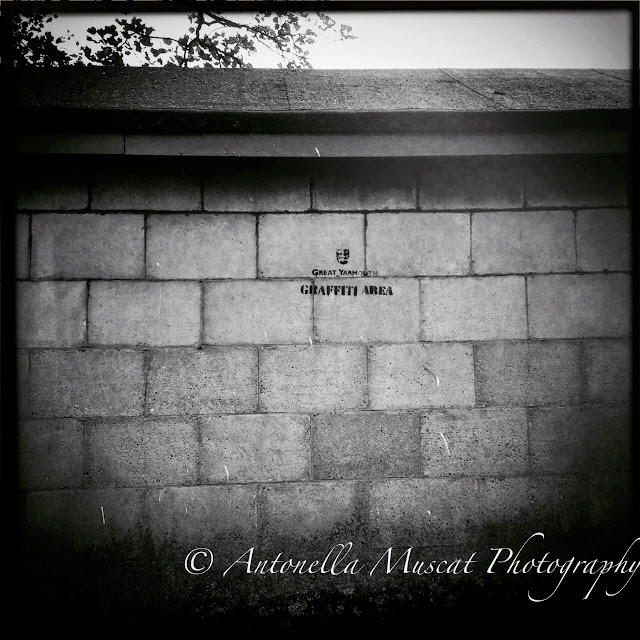 Not content with just producing work in colour I have also produced this monochrome image which is also very dramatic and is recreated with the effect of old and amazingly punchy Kodak T Max 400 in mind. 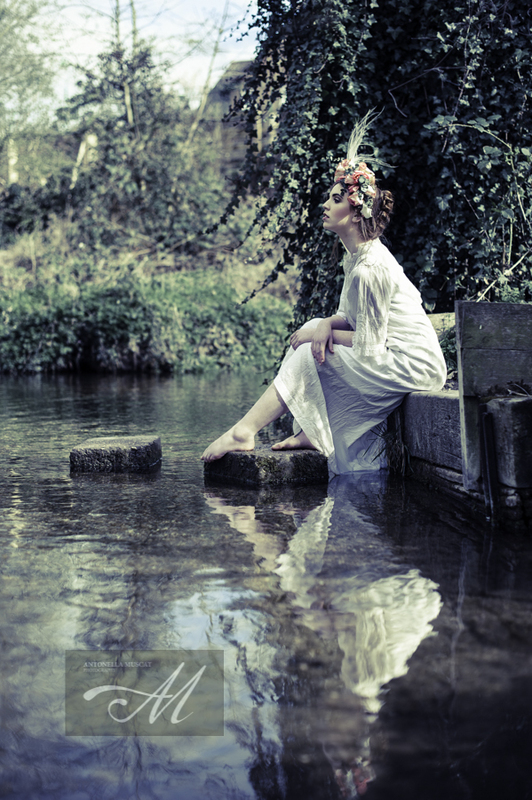 I had a very interesting meeting with a great London based creative hair stylist this week - he also happens to be a shoot stylist, though that was not the reason I got in touch, indeed I was not aware he had this role. We discussed a possible collaboration, and typical me, although I always have ideas for what I want to create/achieve, took nothing but a notebook and pen with me. My collaborations do not base on preconceived ideas. I listen to the people I am working with and try to understand what their strong points are and what their goals within this collaboration are. Sometimes, during this initial conversation, I push people a little bit as I want to find out not only what they want to and can do but also what they won't and can't. This is important for me, as I would never want to push a collaborator too much during the creative process. 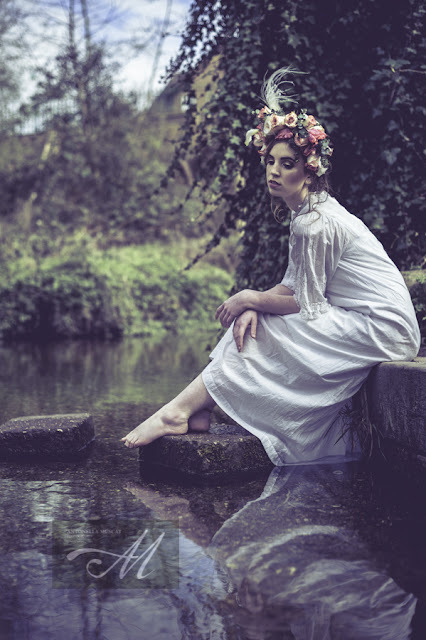 in both the prep just before the shoot and also during this, knowing very well that if I wanted to I could go too far and upset the delicate balance of what is essentially, a group of people who are coming together creatively for the first time. Even when you work with your own established team, you are likely to be introducing different models, therefore it is essential to maintain this fine balance till at least the end of the shooting. Back to the shoot stylist. We mostly talked about ideas for hair but he also talked about his role as a stylist. 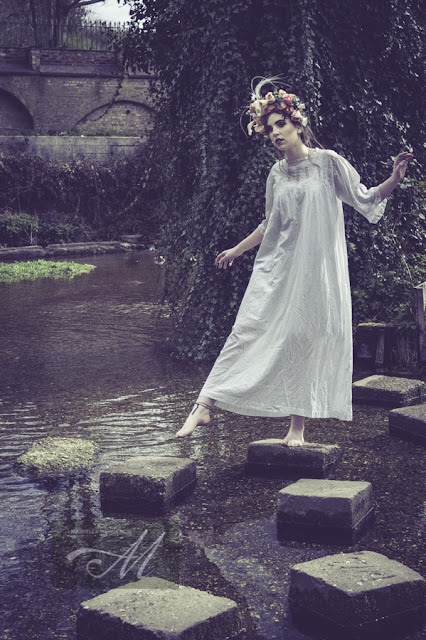 I then just suddenly realised that up to now I have never engaged one, maybe because I worry that they may take over most of the creative process pre shoot and that the resulting imagery would have less of my imprint only. I had not realised that I am doing a lot of extra work some photographers don't do. 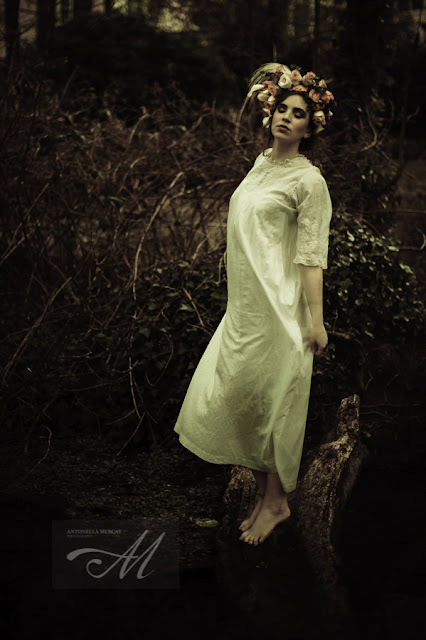 I have always stylised my own shoots and that all the timeline and planning always falls on myself. My process is usually quite meticulous and unless I am pressured, I will not propose a date for shooting until everything is sourced and available. Everything beyond the model turning up, and the MUA and hair stylist doing their bit, is usually up to me. this includes location scouting, deciding timing of shoot for best lighting, planning transport of kit, clothing, purchasing/modifying props and getting all the team organised and with a clear idea in mind. It just struck me how lucky some photographers are to have a stylist assist and take a little of the planning and execution. or am I the lucky one as I retain more control over the execution of my vision? I spend my "free time" (really and truly I don't even know what free time is! ), going into charity shops, vintage stores and all sorts of random places, from B&Q to gardening centres scouring for and sourcing items for a shoot. I have a small collection of items that are readily available and stuff that I have hunted for instinctively that is waiting for the right moment to me used. Being Maltese, I am immensely resourceful and practical and can usually come up with a quick solution if things get a bit complicated or too expensive to take forward. This is a tedious process but at the end when the images are complete I am left feeling as if I have completed a body of work, rather than having been part of it. Do you work alone, or do you use stylists, and if so, do you always use the same person because they have become part of the creative team and understand your vision and way of working? 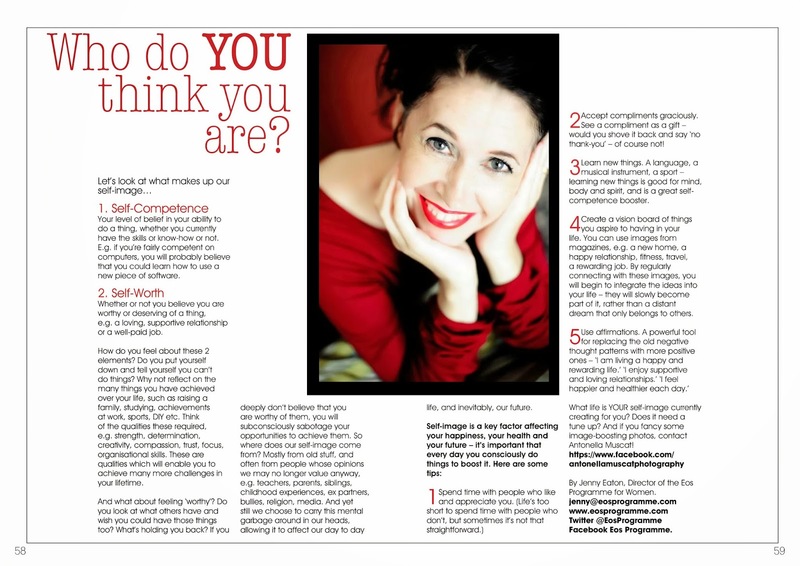 I received an unexpected and very wonderful surprise this morning, a link to an article written by a lovely person I photographed some months ago. 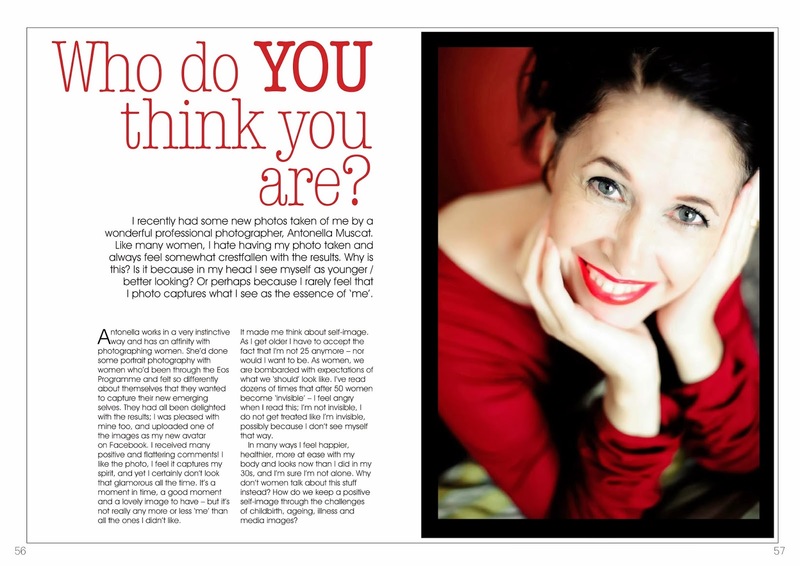 Jenny Eaton runs the EOS Programme in Norwich and wanted some images taken to update her image portfolio. She did not feel that the images she then had represented her true self at that point in time. We therefore worked together to create some images for her. 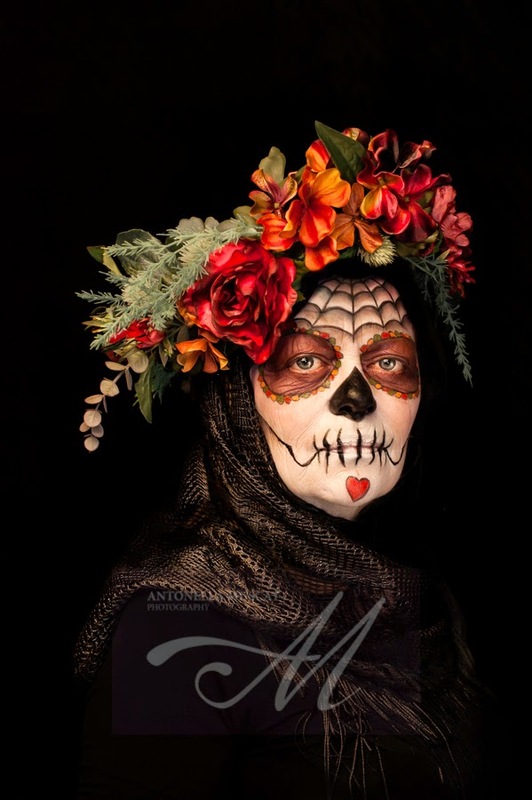 On receipt of the images, she let me know how happy she was with the work and how many positive comments she received on her social media pages. Success! I am embarking on a new and exciting adventure, a move that will be a new chapter of my life. My creativity and happiness is directly linked to my environment and I think it is the right time for pastures new, exciting and difficult challenges that will keep me an my toes, and new opportunities to take my business to the next level. This post may seem sad, and I am a little sad for this town that seems to miss opportunities to move forwards, and home to some who find it difficult to change .... but in reality I am happy for all the new challenges I will find in my way and set myself to prove my abilities. My laptop will start up again in a new place, new county, new town and new opportunities. When the Americans put men into space, the Apollo Programme sent them with a Fisher Space Pen that worked in zero-gravity, freezing cold, desert heat, underwater and upside down. The Russians took a pencil. I think most of us photographers are guilty of just that, complicating things just for the sake of it. Some fashion photographers are well known for coming up with lighting setups that are more there to impress the client than actually light up the subject. Yesterday we packed our bags to photograph local costume maker Barry and his son Oliver. We had discussed the brief but we were unsure as to what Barry would pick out of many possibilities as the outfit to be photographed on the day. That meant we had to create an editorial and choose a location on the fly. I thought to delegate a part of this to my son Matt who is my assistant and is looking to become a game designer. Part of his future role is to create scenarios for games so I gave him the challenge to come up with ideas for how to create a story with limited resources. There is so much to creating an image that the viewer often doesn't get and part of it is creating the mood for the story the image is telling. 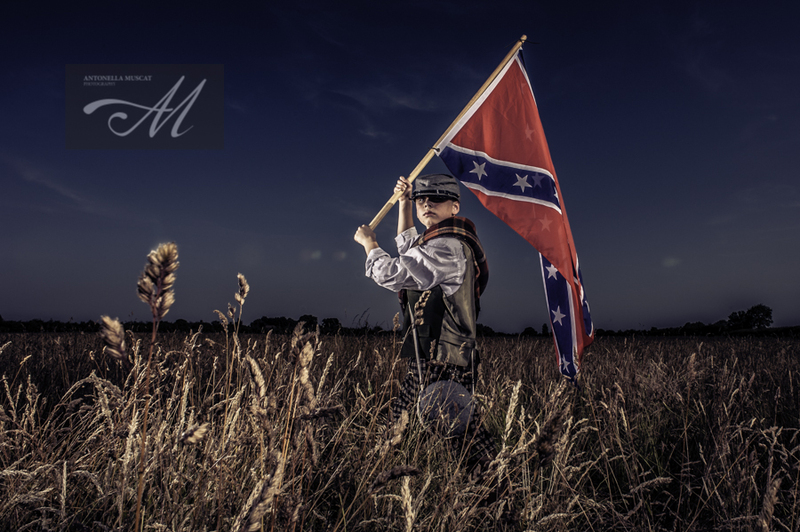 My sneaky peek for today is an image of Oliver, dressed up as a confederate child. The cornfield in nearby Burgh Castle could be anywhere in the US and the look he gives the camera is of steely determination, emphasized by the strong shadow on his nearest eye. The image was photographed in full sun at 6pm and the strobes were used to create the particular lighting effect one behind my right shoulder and the other at 60 degrees to my left. 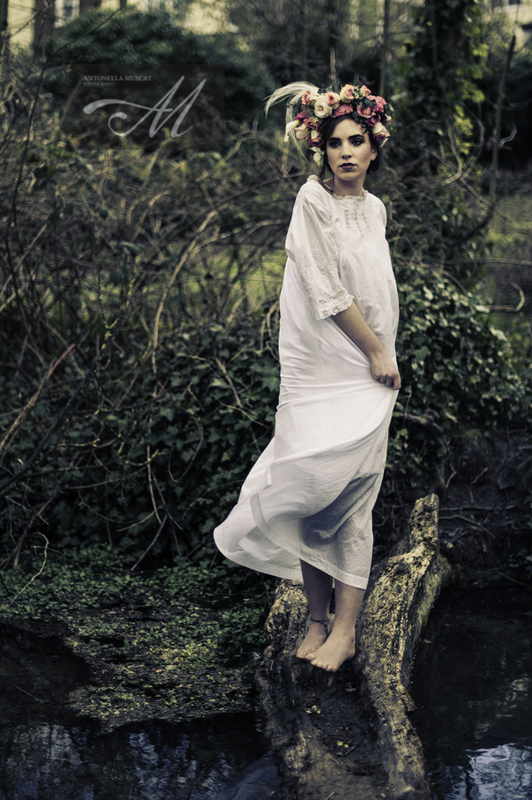 A beautiful model, lovely hair and make up, a wonderful vintage nightie I bought specifically for the shoot and a wonderful fresh flower headress, all in a dreamy little known location... what more can I ask for? The difficulty is of course, is in achieving the balance between all these lovely features and the beauty of the model, so that not one overbears the other and all the contributors get maximum benefit from each of the images which feature their input and I hope I have achieved with this image set. 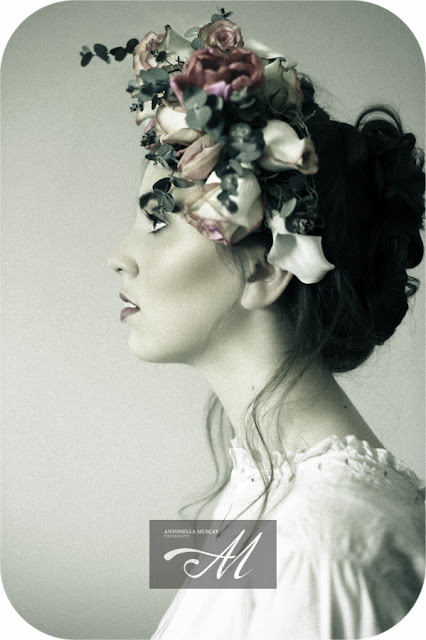 The model is the beautiful Holly, wearing a magnificent fresh flower headpiece from Norwich based master florist Jo Flowers. Make up artistry and hair were done by the creative Herts based Claire Warden who achieved a great look and perfect finish on Holly's already flawless skin. Such a great team to be collaborating with and I hope to be working with Claire and Jo again soon on different projects. Exciting!! Meanwhile please have a look at the rest of the set and let me have your feedback. I look forward to your comments. All text and Images Copyright Antonella Muscat Photography 2014 - all rights reserved.. Powered by Blogger.